The Scottish Business Resilience Centre (SBRC) in partnership with Scotmid Co-operative have launched an awareness campaign aimed at advising members of the public to keep their purses and mobile phones secure. The ‘Watch Your Purse & Phone! 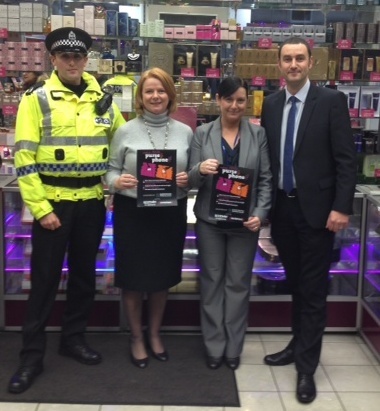 !’ initiative is also supported by Police Scotland who are distributing posters and credit card size advice cards which provide guidance on this area of personal security. Purse theft is known to increase significantly in the run up to the festive season and mobile phone theft is also a growing trend within our communities. Considerable distress and inconvenience can be caused to the victims who not only lose money, contact details, bank and credit cards but could also see personal information and photographs fall into the hands of criminals.